One of his most memorable moments in his music career was performing a sold out show at the L.A. Amphitheater, a 15,000-seat venue, the night after The Who played there. Growing up a huge Roger Daltrey fan, the evening was very special for St. August. While he’s been in the music business for 30 years, St. August said he still feels like he’s 18 years old, the age he was when MASS formed. As he was graduating high school and most of his friends were going off to college, he was busy signing a record contract. In fact, there was a bidding war for MASS, as labels like Atlantic, RCA, and A&M, showed deep interest, and the band ended up chose to make a deal with A&M Records. In order to work on what was to be their first album, they flew down to Florida and laid down tracks at Criteria Studios in Miami. While there, they got the chance to rub shoulders with several celebrity musicians. But, after they finished recording, friction began. The management company they originally signed with wasn’t getting along with the record label and the band suffered the consequences. But, in 2010, a year St. August said has been one of their most productive, MASS got the last laugh. Titling the album, “Fighter,” they released it through Retroactive Records. “Now, I’m getting royalties for recordings I did almost 30 years ago,” St. August said. Also in 2010, they re-issued their EP with a bonus track, this time calling it, “84 Unchained,” put out their hit album, “Sea of Black,” as well as recorded a few Christmas songs to benefit Toys For Tots to wrap up the year. In less than two weeks, “A Very Merry X-MASS,” sold 600 copies. They ran out and had to print more. In addition to raising over $3,000 for Toys For Tots, the band bought, “tons of toys.” Ironically, in the same week, someone had broken into the Toys For Tots in Burlington, Mass. Through the course of their career, MASS released their first major label debut in 1985 with RCA, “New Birth”, produced by Tony Platt, which spawned the 45 single, “Do You Love Me.” The song reached the Billboard’s charts and the video was in rotation on MTV. While they were recording “New Birth” in New York, they were involved in a food fight with another band at an upscale Chinese restaurant. Although they were all asked to leave, St. August said it was worth it. Shortly after “New Birth,” came out, they left RCA and signed with California label, Enigma. Though Enigma, they released, “Take You Home,” in 1988 and then, “Voices of the Night,” in 1989. As the nineties grunge scene took over the radio, MASS took a break from recording and used the time to write songs and perform. They released a “Best Ones” CD in 2000 with For Reel Records. As the years went on, labels overseas became interested in hearing some of the songs they had been working on. 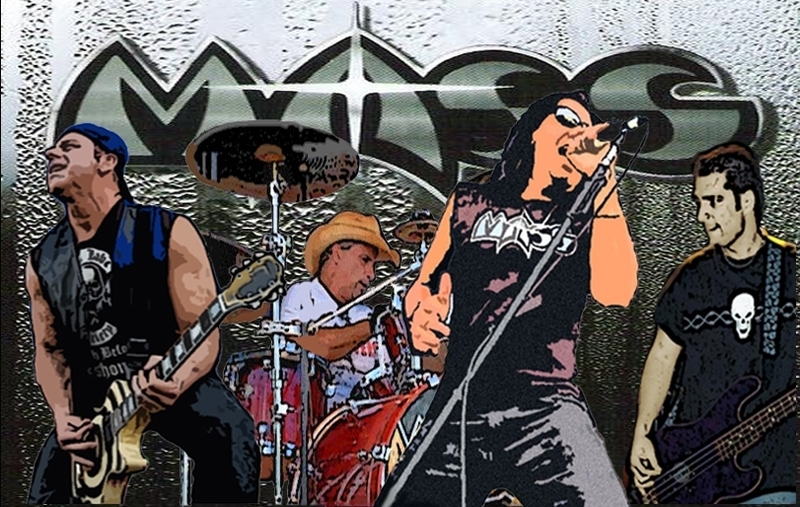 As to the future, MASS is currently looking to record a new album that they hope to release in 2012. In the meantime, they will be opening for Stryper at Showcase Live in Foxboro, Mass., on Saturday, March 26.